Can you have a 110V blender in a 220V country? Most warranties are not covered when you switch voltages or use transformers. 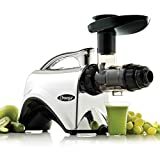 Your best bet: Sell your fantabulous blender (or juicer) and find it a happy, new owner in your existing country, or gift it to a family member or friend. Buy a new one that matches the voltage in your new destination and keep the new motor running at full power with the correct voltage to match the voltage in your new home. Are you living in or visiting the USA and looking for a new 220V blender to take home with you? Check amazon.com and ebay.com for blenders that are 220V and described as Not for Use in USA. The prices are much cheaper than what you will find overseas, but the catch is that they only ship within the USA. So, buy the 220V machine and have it shipped to your address while you’re in the United States. When flying home, remove the blade from the base of the blender and pack it in your checked bag. The rest of the blender can be placed in your carry-on bag. Look for a new blender on craigslist or ebay in your new country. If your local destination has a group facebook page, try posting an ad and ask, “Does anyone have a used blender for sale?” You will be surprised in how many responses you get! Contact the blender manufacturers in your new destination country and ask if they have any refurbished machines or returns for sale at a discounted rate. 2) Cooling will drop dramatically, and current draw will increase causing even more heat. 3) The horsepower output will drop, possibly dramatically. 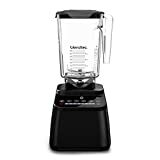 Bottom line – your blender will not survive its warranty period, or if it is out of warranty it certainly will have a reduced life. Thanks to Richard Thompson, an electrical engineer (and my dad!) for providing this explanation! Remember: It’s best to stick with the voltage where you live. 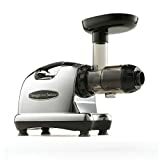 If you live in a 110V country, use a 110V blender (and juicer). 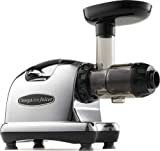 If you live in a 220V country, stick with a 220V blender (and juicer). That way, you’re sure to make the best green smoothies, green juices, and health drinks for many years to come! Learn more about blenders and green smoothies in my NEW book Green Smoothies for Dummies by Wiley Publisher, NY, USA. It’s FULL of awesome recipes to please everyone in your family with a healthy green drink. Now available for sale on amazon.com! Want to know which blender is the BEST for Green Smoothies? Check out my Battle of the Blenders results! https://healthybliss.net/bliss/wp-content/uploads/2014/09/blender110_220_600.png 600 600 Jennifer Betesh https://healthybliss.net/bliss/wp-content/uploads/2014/11/hb_logo_01.png Jennifer Betesh2014-09-23 11:05:052017-11-15 10:45:48Is it ok to use 120V blender (or juicer) in a 220V country?